*Is it beneficial to all concerned? *Will it build good will & better friendships? I operate my life - and my law practice - according to these ideals. This is the most important thing to know about working with me as your attorney. With me, you get honesty and determination to serve your best interests. With the effective legal strategies Mr. Sayler uses, you gain several rewards: peace of mind, confidence, and an ability to focus on your business, instead of spending time with a lawyer, battling in court, and worrying about legal costs. And that’s what you want isn’t it? We do all we can to avoid litigation - and the costs associated with it. And, if litigation is the only path to resolution, we work zealously to help you get the best results possible. With advance planning, agreements, and documentation, many legal problems can be avoided. Unlike other lawyers, I work with clients to help them avoid litigation. After all, the only ones who are certain of winning in court are the attorneys - I want better rewards than that for my clients. My practice focuses on providing legal advise on contract, business, real estate and construction issues. Our advice helps clients avoid disputes and litigation. From simple business start-ups, to complex agreements, we do it all. 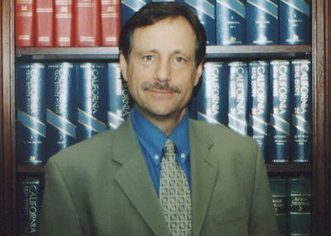 To establish a more effective legal strategy, contact Steven Sayler for a FREE initial consultation. Before going to law school and becoming an attorney, Steve earned an “Masters of Public Health” from the MBA and School of Public Health programs at UCLA. After that, he worked from 1976 to 1983 as a Hospital Administrator. In that capacity, he gained first-hand understanding of the challenges that businesspeople face. From employee difficulties, insurance, regulations, and many other disputes, Steve has “been there, done that.” That experience operating a business has been invaluable for Steve in his law practice, helping him to understand - and better serve - his clients.